This was one of my very favourite Indian butterflies. I saw several nectaring and flying around at the top of Dodabetta Peak. They look like European fritillaries but with an unmistakeably exotic air about them. The white and black patterns on the underside are subtle and beautiful and the aerodynamic shape of the wings is quite special. The species flies throughout India and also in Australia, in a different subspecies. 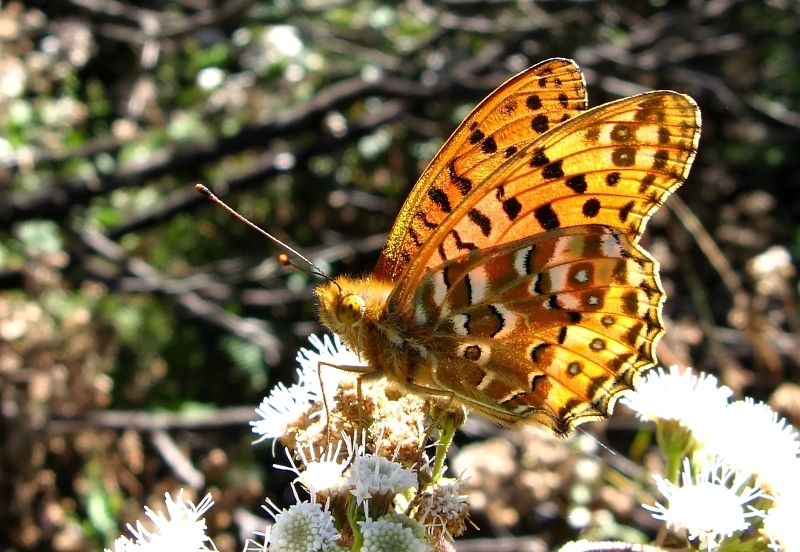 The Australians call it the Australian fritillary!